English teacher Mr. Day and art teacher Ms. Coleman chaperoned a trip to Georgia and Alabama over spring break for students to witness key historical spots for the Civil Rights movement. 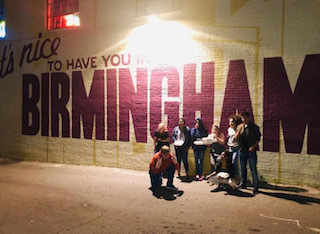 Students visited the birthplace of Dr. Martin Luther King, the Center for Civil and Human Rights, the Rosa Parks Museum, National Peace and Justice Memorial, the Legacy Museum, Kelly Ingram Park, the Sixteenth Street Baptist Church, and several more memorials. They also had the chance to visit college students at Clark Atlanta University, Spelman, and Moorehouse.